While it’s not uncommon for jumpers to start their campaigns on the flat, it is rare to see one the calibre of Self Sense running at Randwick. 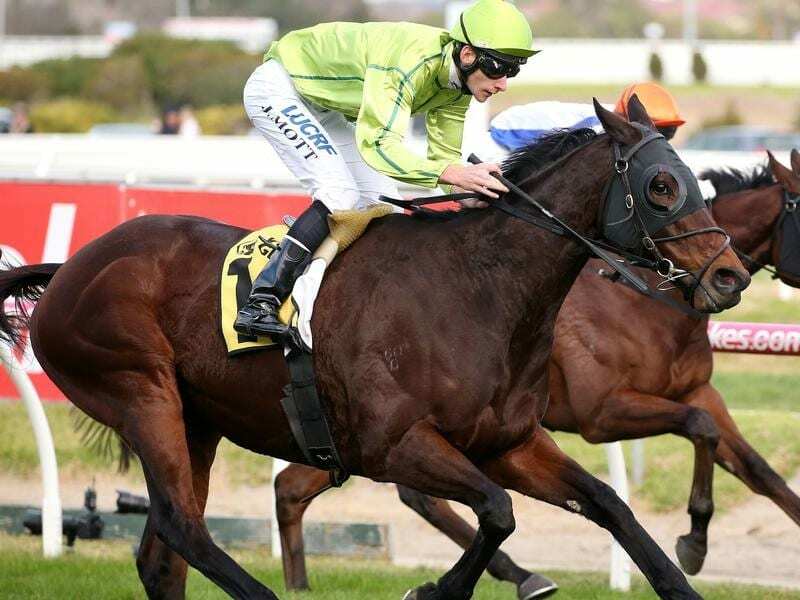 The David Brideoake-trained gelding runs in Saturday’s Listed Carrington Stakes (1400m) with the Sydney Cup and the famous Warrnambool jumps carnival in his future. The winner of the Australian Hurdle at Sandown and second in the Grand National in August at the same track, Self Sense has an impressive flat record including victory in the 2017 Ipswich Cup. Brideoake’s assistant Alex Woodhams says the eight-year-old, who has won more than $1.1 million, is likely to race in Sydney while the summer tracks in Victoria remain as firm as they are. “The Sydney tracks are more forgiving,” Woodhams said. “We have had a dry summer and don’t look like getting any decent rain in the near future. “There is a lot more give in the Sydney tracks because they have a different profile and suit horses like him. “We’ve got big races mapped out for him. We’d like to get him to the Galleywood Hurdle at Warrnambool with the Sydney Cup also a race we have in mind. “He is a high class hurdler but his flat form is good. He goes well the Sydney way and the trip up there will be good for him. The Gai Waterhouse and Adrian Bott-trained Penske is the $2.80 favourite in opening markets on the Carrington with Self Sense at $19. Andrew Mallyon will ride Self Sense and stablemate Extreme Bliss, a last-start winner over 1500m at Randwick on January 12. The mare runs in a similar grade over 1600m on Saturday. “She is also a horse who appreciates natural give in the ground and she is in good form,” Woodhams said. “We are preparing her for the Group Three Aspiration Quality in March. Despite her recent win, Extreme Bliss is a $6 chance with the horse she bat last time, Toryjoy, the $2.80 favourite. Randwick was in the soft range on Wednesday with humid conditions and showers forecast along with hugh temperatures.